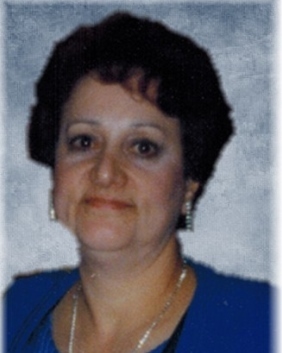 Ilona M. Abraham Prystasz, 75 of Zanesville died at 7:12 P.M. Sunday, March 17, 2019 at her home surrounded by her loving family. She was born March 24, 1943 in New Castle, PA the daughter of Samuel Abraham and Magida (Kahy) Abraham. Ilona was a woman devoted to her faith, a passionate Christian, and lived life serving others. She was employed at Children's Memorial Hospital in 1962 in Chicago, Illinois. Graduated from Career Academy with a medical assistant certification. Graduated from The Youngstown Hospital Association School of Nursing and Youngstown State University in 1966. She served as Vice President of her nursing class and student council representative. She continued her education at The Ohio State University Columbus and was employed by Dr. Robert Cooper, pediatrician. She specialized in Coronary Care Nursing and was employed by Riverside Methodist Hospital from 1968-1972. Moved to Zanesville in 1972, and was employed at Good Samaritan Medical Center. She had a total career of 45 years working at Genesis Health Care in various units, but the majority in the Neonatal Department, including receiving certification in Neonatal Care in 1994. Ilona was a dedicated wife and mother first and foremost. She treasured her children and embraced every moment with them. She especially loved her role as “Sittoo” (Grandmother). Her generosity, kindness, and love will always be cherished. She is survived by her husband, Robert “Bob” Prystasz, whom she married Oct. 2, 1971; a daughter, Caren (Rob) Kendrick; a son, John Prystasz; Grandchildren, Shawn, Chase, and Taylor Kendrick, and Jacob Prystasz; two sisters, Rose Hanna (George Hanna, deceased) and Joan Passias (Dr. Nickolas Passias, deceased); Brother-in-law, Gary (Debi) Prystasz; Sister-in-law, Linda (Chuck) Antill, several Nieces and Nephews, and wonderful friends. Ilona was preceded in death, in addition to her parents, by 4 sisters and a brother-in-law, Edna Abraham, Nancy Abraham, Sally Abraham, June (Roger) Carl , Nephew David Carl, and her Father and Mother- in- law, John and Hazel Prystasz. Visitation will be held 3:00 PM to 5:00 PM on Friday, March 22, 2019 at the Bryan and Hardwick Funeral Home with funeral service to follow at 5:00 PM with The Very Reverend Fr. Kevin Long officiating. Memorial Contributions can be made Muskingum County Animal Society. The Bryan & Hardwick Funeral Home, 2318 Maple Ave. Zanesville is in charge of the arrangements. To share memories and condolences with Ilona’s family please click on the Tribute Wall tab on this page.